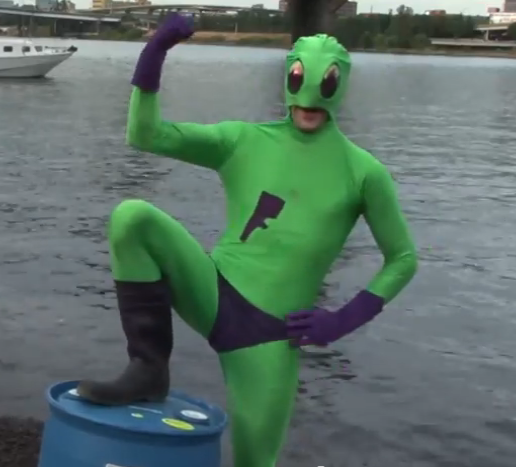 Frogman Pdx is a Portland superhero. I don’t know what his powers are other than to host a damn good show called Weird-Landia. 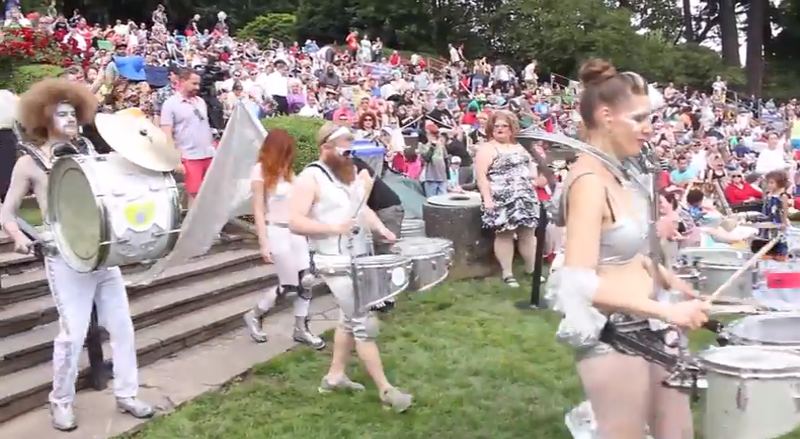 In episode 2, subtitled Little Beirut, a silver metallic clad marching band called Love Bomb Go-Go struts into view. Through out the show, Frogman Pdx roams Portland talking to various political activists. The episode cuts back and forth from the band’s performance with horns bleating and dancer hips swinging to political types who speak in earnest to our hero clad in his green skinned costume and frog-eyed mask accessorized with rubber gloves and a speedo—both purple. The interviews add a deeper dimension to local concerns while the show captures the west coast energy that I hoped to find when I moved here.